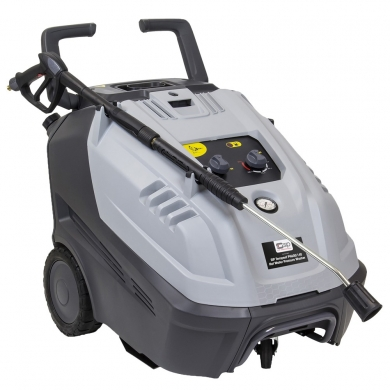 The Tempest PH600/140 is an electric pressure washer with hot water feature that is powered by a diesel boiler and can reach temperatures of up to 110°C. It has an impressive flow rate of 600 Litre per hour and 2030psi/140bar pressure to make light work of buid on dirt and debris. The Tempest PH600 includes a 10 metre robust hose with a heavy duty metal lance with rubber grips for added comfort and a low pressure detergent system. The boiler has a fuel tank capacity of 15ltr and boiler safety feature.